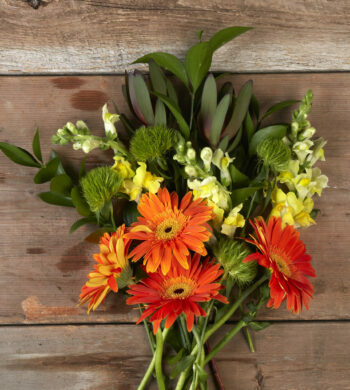 The Spring season is a time of rebirth and growth so we wanted to bring to life a new colorful, happy bouquet. One that would make a statement. One that conveyed cheer and could be sent for a variety of gift giving reasons. 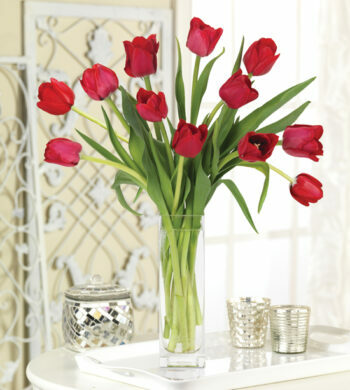 And finally, one that would look great in your home if you ordered it for yourself. 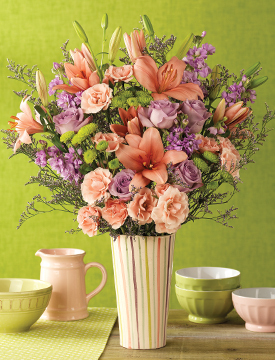 The result is our new Candy Stripes Bouquet that we definitely think fits the bill. The hand painted ceramic vase from Portugal is filled with a colorful palette of flowers that arrive in bud and bloom and come to life right before your very eyes. It has a sweet and spicy fragrance from the multi-blossomed stock. The Asiatic lilies are magnificent when in full blossom. 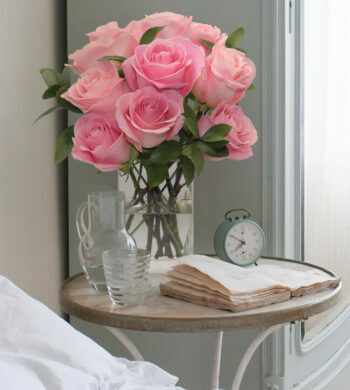 And of course, the roses are quite lovely in pastel pink and lavender. Candy Stripes Bouquet is wonderful because it’s appealing to a wide age group and it’s a great choice for a variety of flower sending occasions. 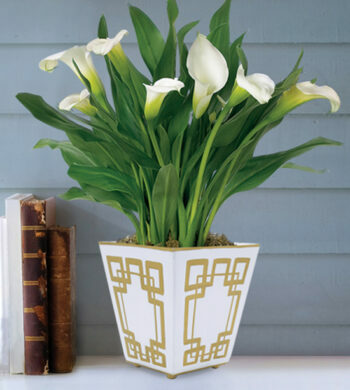 Think Easter, Mother’s Day, birthdays and our favorite, just because.